Home IT Outsourcing Working With a Dedicated Software Development Team? When a minimum viable product (MVP) is successfully launched in the market, it is necessary to get the reliable software development team to make sure the app work smoothly as well as be frequently updated. A MVP will be the main factor which connects customers and the owners, therefore, MVP development plays an important role as the result of the process. Following that logic, the dedicated software team are the key members who create the connection method – MVP. The question is that: There are any guidelines to select and work well with a dedicated software development team? Besides outsourcing a talent software development team, you should get the basic idea to work well with the team and together achieve the most effective result. By a skilful combination of managing and communicating, the owner may work well with the team to create the great products as the result. Starting a software project with a full team, you will get the schedule which predicts working status for each stage from the project manager. It may be a Scrum board which records the whole process, both the bottleneck issues and the completed tasks, which helps the manager to get the status of the process and also the current problems to be applied in the next projects. By these demand data, managers can be better risk management, and optimize the next projects. It is necessary to follow the status of the whole development process, especially with the owner of the project. By frequently checking, project manager can immediately manage and advice if there are any issues happening during being coded. Furthermore, if it is required to make some changes in the offshore IT development team to improve the coding quality or boost the working speed to meet the deadline, frequently checking will help manager deliver the decision and message to team member effectively, as well as making sure investors hire the right developers. 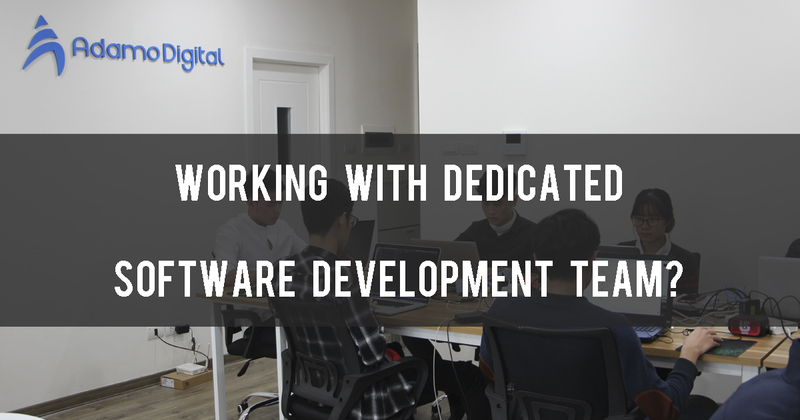 When you have the dedicated software team, trust and belief will determine the length of the relationship and how much value the development team will deliver. Therefore, transparency is mentioned here, as the document for the relationship among two parties, not only for the current projects but also other future ones. Anything is created with the passion and mission will be more successful than the one isn’t. This will be the task of the project owners, who sends mission and vision to the software development team members. As the members get the soul of the project, understand the meaning of their tasks, the software may be delivered in the best quality. Besides, the worth gift or payment to the team may be the best encouragement to the team, which inspires them to try their best. To successful build the IT team for your own, it’s not only how many talents you can get for your team, working well with each other is the key for the final software product was born. Therefore, you should remember some key tips before starting work with your team, to get the trusted commitments from your partners.